Sell more books. Get visibility. then Amazon SEO for authors is the service for you! Have you recently published a book to Amazon and want to ensure that your book sells? Do you have a published book on Amazon that recently stopped selling? 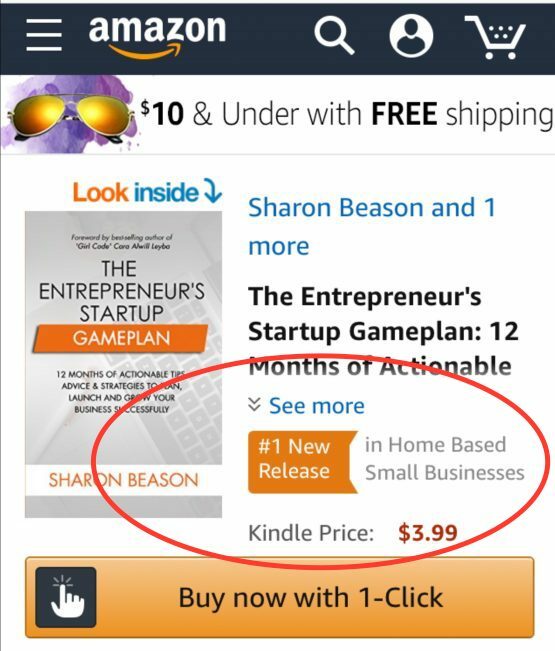 Are you a first time author and looking for ways to increase your visibility on Amazon? Is your marketing plan failing and you've run out of ideas on what to do next? Amazon is very much a search engine... and an IMPORTANT one for authors! Therefore our service is essential for authors looking to get more visibility for their books. So let's start with the basics! What is Amazon SEO? Amazon SEO (Search Engine Optimization) helps authors to discover the best keywords and categories to attach to their book to get discovered. On Amazon, they allow authors to choose five keywords (or keyword phrases) for the print version of their book and seven keywords (or keyword phrases) for the Kindle version of their book. They also allows authors to choose two categories for both the print and Kindle versions of their books. These keyword and category choices are important! They can make the difference in selling a few copies or hitting the #1 spot in your genre! The goal is for authors to choose keywords that relate to their book’s subject matter and categories that attract their target audience. For some authors, the process of finding the best keywords and categories for their book can be an arduous and intimidating process. So we've made the process easy for you! WHAT OUR AMAZON SEO FOR AUTHOR SERVICE PROVIDES! Receive a 30 minute consultation to discuss the main ideas and target audience for your book. Receive keyword and category suggestions to increase your book’s visibility. Learn what the current trends are in your genre as it relates to: book covers, pricing, and book descriptions. to any marketing efforts you are currently implementing! Please note: We do not make any guarantees of book sales or ranking. We've successfully helped numerous authors across multiple genres to discover the best keywords and categories for their books. We understand the factors that Amazon's algorithm considers when determining what books get visibility. So allow us to give you a head start on your marketing efforts and perform our Amazon SEO for authors service where we do the keyword and category research for you! “Stefanie is a joy to work with. She was very eager to help improve our sales and ranking…and not just put in hours. She is very results oriented which as an employer is the way we think as well. Stefanie treated us like our website and books were hers and she was determined to help us succeed to a new level. The results have just started to trickle in but it is already encouraging even at this point. We were so impressed with her ambition, knowledge, skill, and work ethic that we have started consulting with her and just hired her again for a new project. I will say that although we have spent many thousands, searching for the right persons in several different niche skills, we have found our book, Amazon, SEO person for good. Complete the form and set up a free strategy session! Who is a part of your target audience? How did you hear about this service/website? *Please note: you will be directed to a page to schedule a free strategy session once you hit send.